Best Motion Picture - Drama: “Dunkirk” is big and bold and “The Post” is serious and timely, but the film with the most Globe nominations, “The Shape of Water,” is gloriously imaginative filmmaking whose biggest competition might have been two films that ended up being categorized as comedies, “Get Out” and “Lady Bird.” Prediction: "The Shape of Water"
Best Motion Picture - Musical or Comedy: “Lady Bird” could win if voters want to send a message in a year where women are claiming their spot in Hollywood. 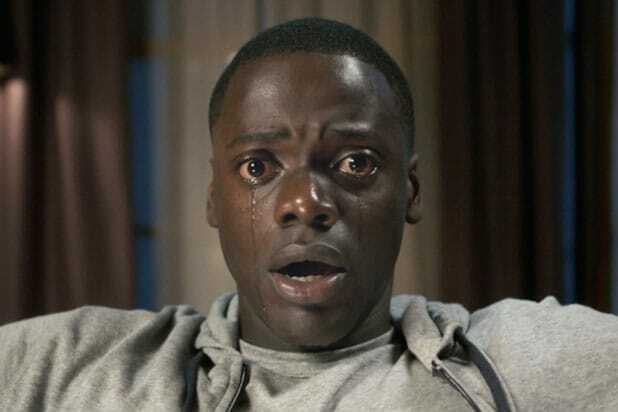 “Get Out” could win if voters aren’t gun-shy after all the criticism the HFPA received for accepting it as a comedy. “The Disaster Artist” could even win if they just want to have fun. I give a narrow edge to “Get Out,” only because the film with the most critics’ awards tends to get a Globe, too. Prediction: "Get Out"
Best Actor in a Motion Picture - Drama: Gary Oldman is revered, under-recognized and overdue, and “Darkest Hour” gives him the kind of showcase that voters should celebrate. But his first Globe nomination is hardly a sure win, because he’s been an outspoken critic of the HFPA in the past, even calling for a boycott at one point. He changed his tune this year and said he was “very proud” of the nomination. If voters forgive and forget, he wins; if not, Timothée Chalamet could easily score an upset. Here’s betting the HFPA takes the high road. Prediction: Gary Oldman, "Darkest Hour"
Best Actress in a Motion Picture - Drama: Meryl Streep provided the highlight of last year’s Globes show, but the Cecil B. DeMille award was probably thank-you enough. This one is probably between Sally Hawkins and Frances McDormand – and while Hawkins gives a radiant wordless performance in “The Shape of Water,” who the heck can say no to McDormand and “Three Billboards?” Prediction: Frances McDormand, "Three Billboards Outside Ebbing, Missouri"
Best Actor in a Motion Picture - Musical or Comedy: While Hugh Jackman could help the HFPA insist that the “musical” part of the category name actually means something, this is probably between Daniel Kaluuya and James Franco. And Franco has been omnipresent in the last month, charming everybody who gets near his movie – and while “Disaster Artist” might not be as important as “Get Out,” it’s pretty irresistible. Prediction: James Franco, "The Disaster Artist"
Best Actress in a Motion Picture - Musical or Comedy: If the Globes didn’t have separate drama and musical/comedy acting categories, Saoirse Ronan and Margot Robbie are probably the only nominees who’d be contending for a spot in a single category. And Ronan is the only one who’d be contending to win. 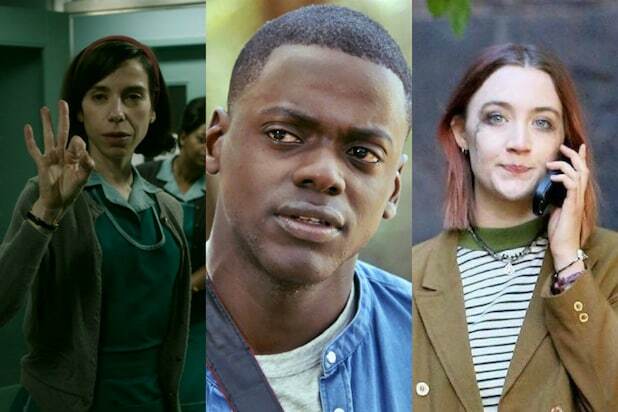 Prediction: Saoirse Ronan, "Lady Bird"
Best Supporting Actor: Sam Rockwell’s performance is strong and strange enough that he could pull off an upset, and Christopher Plummer is a real contender because he’d be the HFPA’s way of saluting Ridley Scott for his audacious last-minute reshoot with Plummer stepping into the role originally played by Kevin Spacey. But three nominations might be enough of a salute for Scott’s (and Plummer’s) film, leaving the path clear for Willem Dafoe to pick up yet another award for “The Florida Project.” Prediction: Willem Dafoe, "The Florida Project"
Best Supporting Actress: While Mary J. Blige and Hong Chau have a shot and everybody loves Octavia Spencer, this will probably come down to a pair of actresses playing moms who clashed with their daughters. Laurie Metcalf has a couple of softer, redemptive moments in “Lady Bird,” which should give her the edge over Allison Janney’s mom from hell in “I, Tonya.” Prediction: Laurie Metcalf, "Lady Bird"
Best Screenplay: A tight race between Greta Gerwig and Martin McDonagh might just be tipped in Gerwig’s direction by the fact that her screenplay, based on her own teenage years, is more heartfelt – and also by the fact that the HFPA might owe her one, since she wasn’t nominated for Best Director. Prediction: "Lady Bird"
Best Original Score Jonny Greenwood’s demented piano music would be the adventurous choice, John Williams’ the safest possible one. But this should go to Hans Zimmer for the bold “Dunkirk” or Alexandre Desplat for the evocative “The Shape of Water.” Look for emotion to take the day. 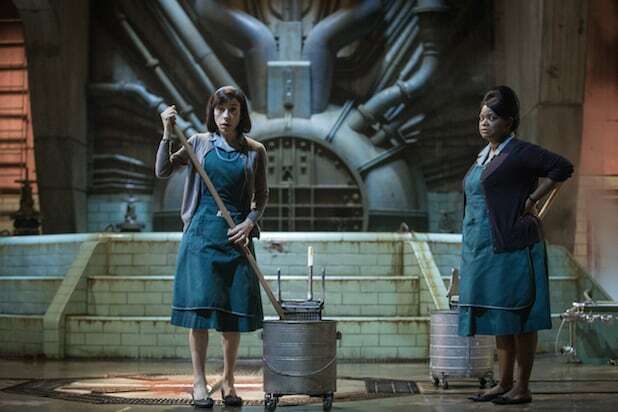 Prediction: "The Shape of Water"
Best Original Song: They could give the award to stars like Nick Jonas (“Home”), Mary J. Blige (“Mighty River”) or Mariah Carey (“The Star”), and they might be tempted to do just that. But the two songs from musical-theater teams mean the most to their films, and we suspect that Pasek and Paul’s showstopper “This Is Me” will narrowly edge out Bobby and Kristen Anderson-Lopez’s touching “Remember Me.” Prediction: "This is Me," "The Greatest Showman"
Best Motion Picture - Animated Can anything beat Pixar’s “Coco?” Don’t count on it, unless the oil-painting technique used in “Loving Vincent” is even more impressive than we realize. But look: “Cars 2” is the only Pixar movie to be nominated and lose a Golden Globe to a non-Pixar movie, and “Coco” is no “Cars 2.” Prediction: "Coco"
Best Motion Picture - Foreign Last year, the Globes got to look bolder than the Oscars by voting for Paul Verhoeven’s transgressive “Elle,” which didn’t even make the Oscar shortlist. This year, they could go for another Oscar castoff if they vote for Angelina Jolie’s “First They Killed My Father,” and celebrate a big star in the process. But that won’t make them look bold, it’ll make them look like star-fluffers – and they’re tired of those kind of wisecracks. “The Square” should edge out “A Fantastic Woman.” Prediction: "The Square"